Are you buying , Selling or re-mortgaging and need a solicitors? if you are thinking of buying a house, selling a property, moving or re-mortgaging then instruct us. Our expert team of conveyancers and solicitors can make the conveyancing process stress free. Technically the word 'Conveyancing' refers to the legal process of transferring ownership (or 'title') when buying and selling property. However the word is commonly used to describe the whole legal and administrative process between acceptance of offer and moving home. 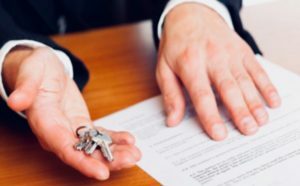 Conveyancing is one of the most complex and often opaque parts of the home buying and selling process. A good solicitor will ensure that you are well advised in non technical terms throughout the process. Our experienced conveyancing specialists offer a friendly and efficient service which will allow you to get on with your life whilst we deal with sorting out the legal practicalities. You will be kept fully informed throughout the conveyancing process, providing you with personal support during what can be a stressful time. How long it will take from your offer being accepted until you can move in to your house will depend on a number of factors. The average process takes between 4 -12 weeks. It can be quicker or slower, depending on the parties in the chain. For example, if you are a first-time buyer, purchasing a new build property with a mortgage in principle, it could take 12 weeks plus. However, if you are buying a leasehold property that requires an extension of the lease, this can take significantly longer. In such, a situation additional charges would apply.